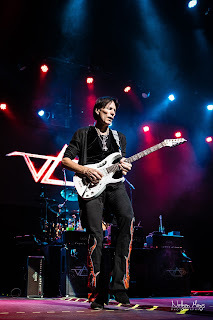 If you like guitar, then you know Steve Vai. If you like listening to instrumental guitar, then you know "Passion and Warfare." 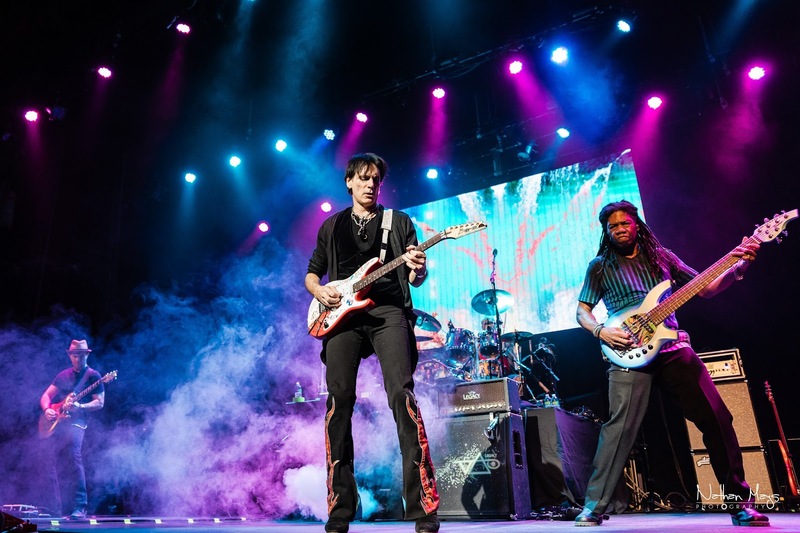 The album was recorded over a period of several years and released to critical acclaim in 1990, reaching #18 on the Billboard charts. Fans will finally get to hear the album in its entirety on this 25th anniversary tour. 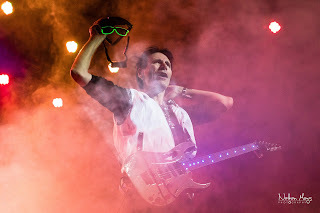 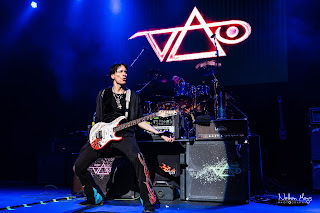 The show opened with Vai emerging on to the darkened stage wearing a fiber-optic hoodie and LED-rimmed glasses with freakin' laser beams on them. 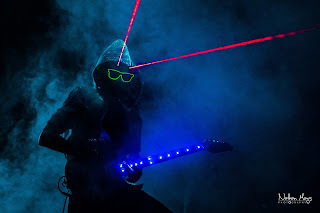 Just a super cool way of starting the show. 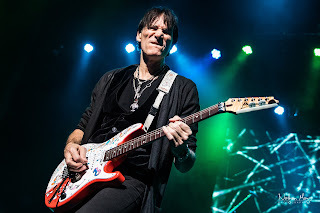 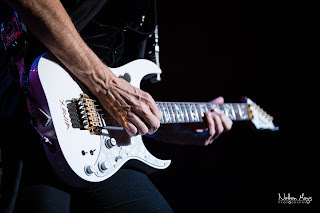 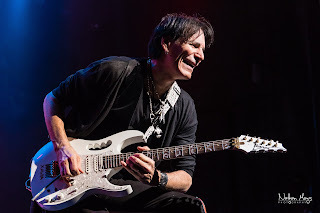 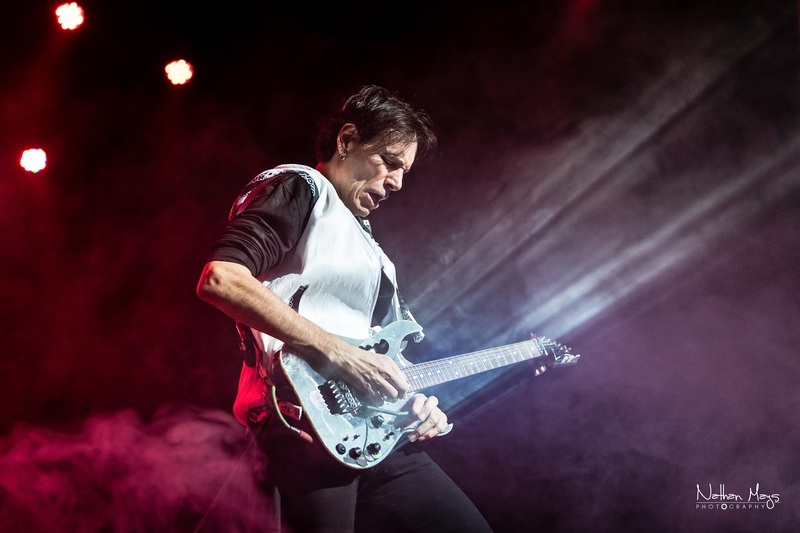 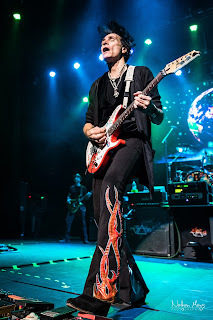 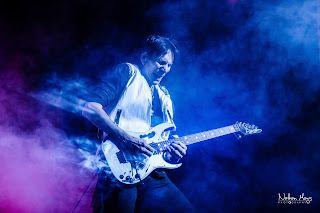 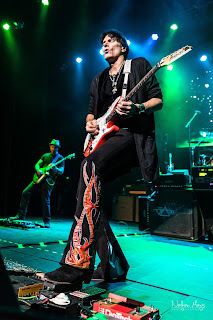 Be sure to catch Steve Vai on one of these stops!